It is written, "there is no one who seeks God", well I did. I went after God, and sought Him diligently and by God's grace I will tell what I found. 1. God exists, and is very real and is an eternally Holy, and is eternally just. Although there will be no direct scientific proof of Him, because He is the author of creation and is not bound to be subject to the criteria of proof required to prove 'existence' . 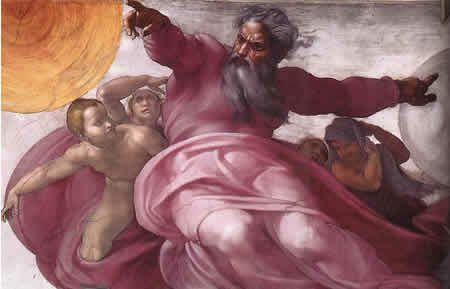 God does give evidence of Him being the author of all life and creation, but men push it away as a natural occurrence, a fluke or a coincidence. There is no such thing. Natural occurrence, fluke or coincidence are only aspects of the mystery of "God Allowing." God is "I Am"....He IS existence. Human beings experience 'reality' in relation to time and sensation, God is not bound to these constraints. As we were created by an Eternal God, the eternity that is our destiny was placed in our hearts and despite all our limitations in a fleshly state, we can rise above the groans and demands of the flesh and seek the truth of an Eternal existence that is not waiting for us when we die, but that we are a part of right now. If we are in Eternity right now, then our thoughts, actions, and words will have eternal consequences. Whatever we say, do, or think, God remembers for all eternity, and if our actions are sinful and not repented of, they may require an eternal consequence. Do not think that because you flesh lives a short life, that you can do what you please and tread on the Honor of God for your own desires. For some will come to their deathbed in such a horrible state of mortal sin, that only the hands of a Priest giving the Anointing of the Sick can turn God's wrath from their eternal damnation. 2. As God loves those He has given life, God has given his creation a means of piercing the veil that separates life from death and perceiving, at least in part, the eternal reality that awaits those that will diligently seek Him. Yes, we can perceive Heaven, even while we are in the flesh. The two most 'portable' methods of these being the Holy Rosary and Holy Scriptures. 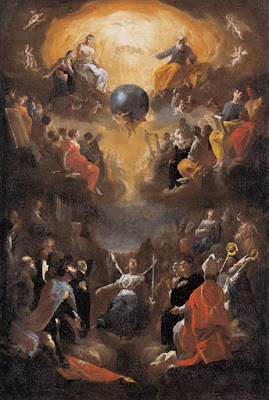 The Holy Rosary is the best portable method of purification of a soul in order to gain access to the Heavenly Realm, as God allows. We can have access to praying a Rosary when reading scriptures would not be feasible. 4. Gaining access to heaven isn't about what you do, or how many times it is done, but about what your heart does. There is no list of how many prayers it takes to get into heaven. 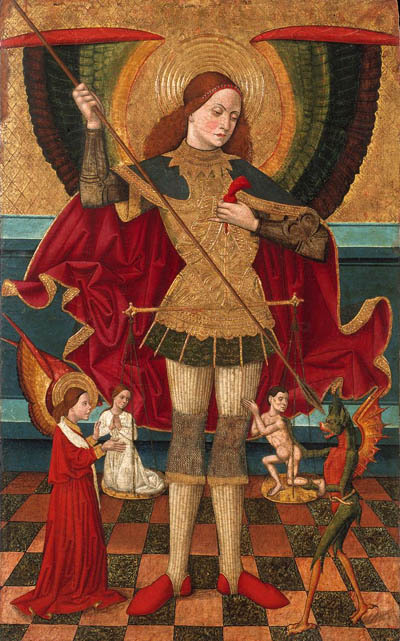 St. Michael will not be looking at your excel spreadsheet of prayers to see if they were completed, but he will take you heart and weigh it in it's love for others. How much did you truly love and pour yourself out for others, even to your last breath. In one scale, will be your heart, in the other will be the Cross of our Lord. Your heart will be weighed against the Passion of our Lord, and His sacrifice. If you understood this, you would be terrified. 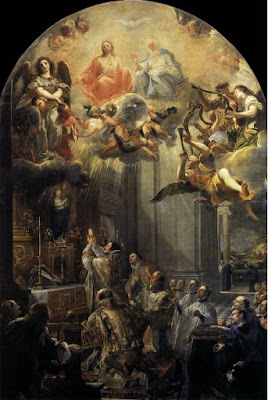 I have seen the Saints in heaven observing the Holy Mass being celebrated on Earth, and how happy they are! When you perceive God in this way, you are given what a victory the Holy Mass is on the Earth and how it was a gift from God to man. Not just Catholics, but every soul on the Earth benefits from each and every Holy Mass that is said, and many souls in Purgatory are released to the beatific vision of God. 6. As God allows, depending on the state of your heart and soul to God, He may allow you access to the Throne of God for your petitions outside of the Holy Mass. Yes, God can do that, and I didn't even realize I was seeking this connection outside of Holy Mass until God showed me what I was doing. We in the flesh are very limited, so God gives us each and every person that we encounter in our lives, no matter how insignificant that encounter. Your children and family are a gift from God, but also is the woman that cut you off in traffic. God gave her to YOU and He showed you that she is in a potentially dangerous state, and made sure you didn't forget her. (Wouldn't you come home and complain about being cut off! You remembered her!!) There are NO coincidences, and no accidents. After encountering an older gentleman that God gave to me for prayer, I looked up to heaven and petitioned God for this soul as if I was with him before his Judgement. Instead of just praying for the soul, I go the extra mile and seek to be present at the souls Judgement and petition God for them. I seek the Throne of God, the Judgement seat of Christ, and before the Cross, I kneel with this soul and petition God to be merciful for his or her sins. If the man is still alive, how can I do this? Because we are bound by time, God is not. God is ever present in a state of eternal "now", with all things before Him constantly with an eternal and perfect knowledge whether the knowledge is from the past or the future. This perfect knowledge in eternity in no way hinders man's free will to direct his future even though that future is already known by an eternal, loving and perfectly just God. Even though this man is still living, God is in some sense of eternity presiding at this man's judgement, and He was given to me to be one that pleads for him before the Throne of God. I have a level of faith that knows that God, if He wills, can allow me to plead at this man's Judgement even though this man is yet still in the flesh. If we are going to seek after God we must realize that because of our sinful nature, He is not like us, but as He wills, we can become more like Him. We must seek to understand the truth of God's reality and seek to perceive this reality to attain the salvation of others. One of the best ways to do this is also to constantly remind God, "Nothing is impossible to you, if you will it." But know God is not mocked, He knows even the deepest secrets of your hearts, so if your intention is not pure, you will attain nothing without a heart directed for others that allows you to be properly dressed for the wedding feast. God desires ALL to seek Him. The Saints have all had this access to the Throne of God, and the one's that did most obviously, where very devoted to the most Holy Rosary. 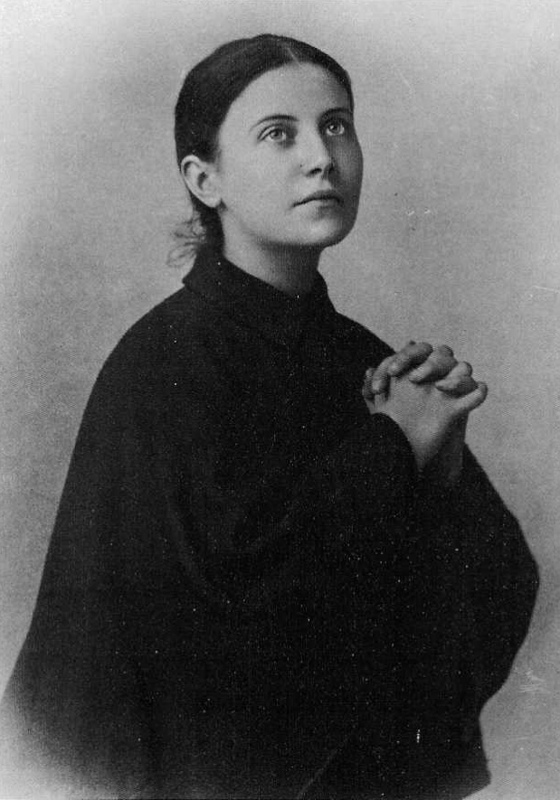 St. Gemma praying, looking to Heaven.